Posted on December 3, 2010 by Jill B. There is a lot of anticipation regarding the upcoming debut of Verizon’s 4G LTE network and USB technology is leading the pack with the carrier’s first set of 4G devices; the LG VL600 and the Pantech UML290. With LED indicators and swivel functionality, these Verizon USB modems provide your laptops with the benefits of 4G LTE technology. So what does Verizon say you can get out of 4G LTE? Long Term Evolution (LTE) is a wireless technology with greater data transfer speeds and less lag time than its legacy connections. At ten times the speed of 3G, you apparently won’t have to suffer through buffering the movie or clip you want to view and you can download songs or pictures in seconds. Crystal clear video chat is also available. If the Internet didn’t already saturate every aspect of your daily life, it will with 4G, and it’ll make it easier. There are a few things to note regarding the new network. It can cover 110 million people by the New Year so it won’t be made available everywhere quite yet. There are 38 major cities that will be included in the first deployment of 4G. Currently, USB modems are the only 4G Verizon devices. The LGVL600 and the Pantech UML290 are $99 after rebate. They are equipped with 3G functionality for areas that don’t yet provide 4G. According to AllThingsD, 4G is only available for Windows systems. The article also suggests that 4G smartphones won’t be around for at least a few months. Undoubtedly, Verizon is taking 4G nice and slow. Voice-only data will initially use 3G while data uses 4G. The gradual rollout will likely prevent the flooding of the network with too much data, which can cause breakdowns like AT&T customers have experienced with the iPhone. By controlling the number of devices used, Verizon gets a chance to work out any kinks and streamline the adjustment process. While it may annoy customers and make them antsy for 4G smartphones, an effective network is key to boosting the user’s overall mobile lifestyle in the long run. The fact that these modems are the first USB devices in the lineup further emphasizes the technology’s importance. They are the bridge that makes it all possible. The LG VL600 and the Pantech UML290 are available from Verizon on December 5th. 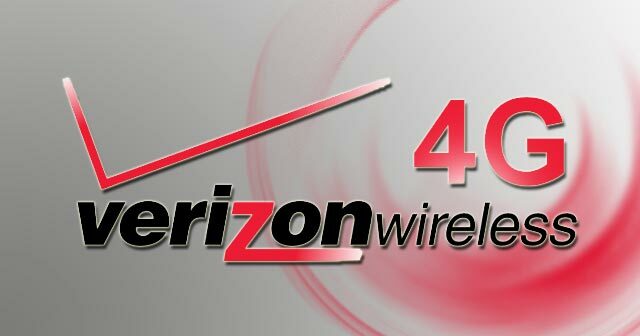 Are you anxious for Verizon’s 4G network? Tell us what you think about the carrier’s USB modems. This entry was posted in 4G Technology, Articles, USB Future, USB Modem, USB Technology, Verizon, Wireless USB Technology and tagged 4G devices, 4G LTE USB Modems, LG VL600, Long Term Evolution, LTE technology, Pantech UML290, USB modems, Verizon 4G LTE network, Verizon 4G LTE USB Modem Device, Verizon 4G LTE USB Modems, Verizon USB modems. Bookmark the permalink.